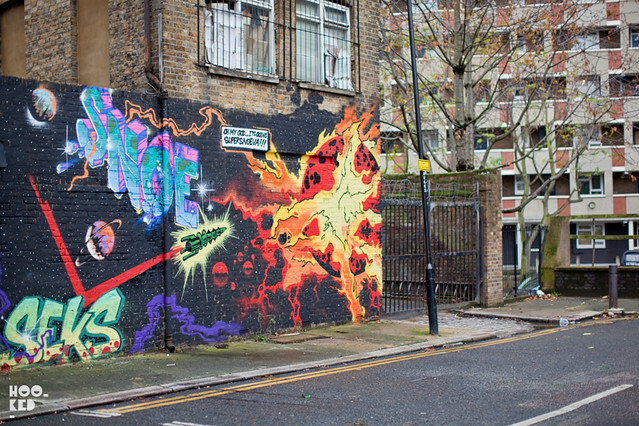 An explosion of cosmic colours on this new wall off Hackney Road, East London from Cept, BRK and SNOE. 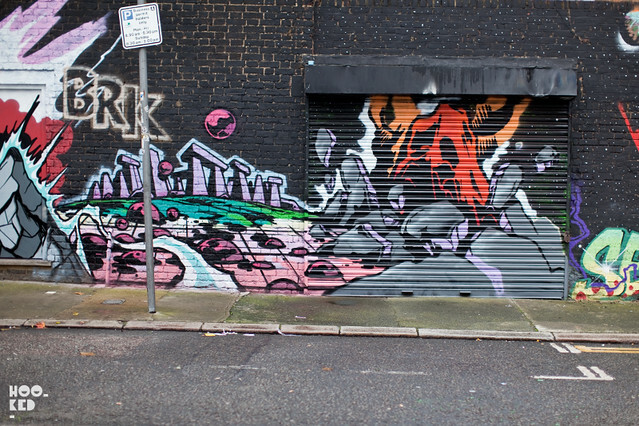 Having previously painted the shutters on the corner of this side street, Cept returned to paint this piece yesterday afternoon with the other two artists. 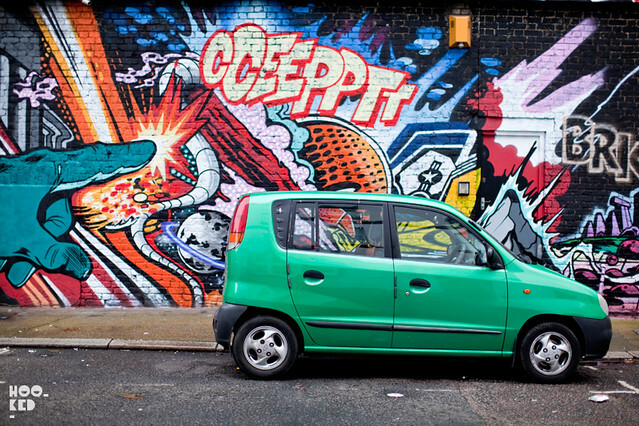 Hookedblog visited the spot on two separate occasions today in efforts to get photos without the green car / vans parked in front of the wall, but as ye can see from the image above we weren't so lucky today. Hopefully we will be able to grab some shot of the whole wall soon so check back with us.